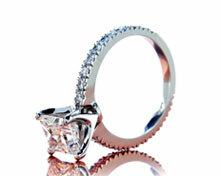 Is diamond carat weight more important than color, or clarity? 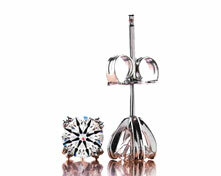 They say that beauty is in the eye of the beholder, in which case, if your girlfriend is most concerned about the size of the diamond, then that is the factor that will contribute to her perception of its beauty. Thus this 2.086 carat, J-color, VS-2 clarity, Brian Gavin Signature round diamond that exhibits strong blue fluorescence, should capture her heart and take her breath away, because it is exactly what she desires in terms of diamond carat weight. However it is also going to deliver an incredibly high volume of light return, and the broad spectrum sparkle that you crave due to it’s exceptional diamond cut quality! 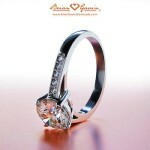 Despite what you may believe, it is not necessary to buy a diamond of the highest clarity, or color grade, for it to be exceptional looking… most of what we find beautiful about a diamond is the result of diamond cut quality and proportions, factors such as diamond clarity and diamond color, have very little to do with the actual beauty of a diamond, and are essentially little more than descriptive factors of gem quality, not performance. 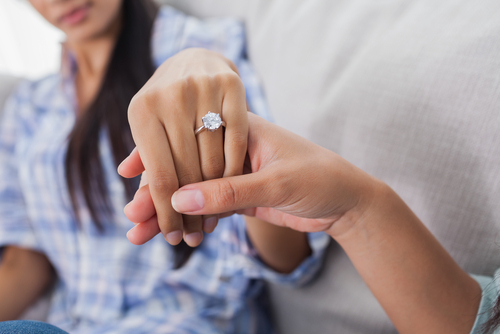 To demonstrate my point, I’d like you to concentrate for a moment, and ask yourself what you truly find beautiful about a diamond… When you close your eyes and focus on the image of the diamond that you want to present to your girlfriend, do you see the clarity of the diamond, or do you see the sparkle factor? 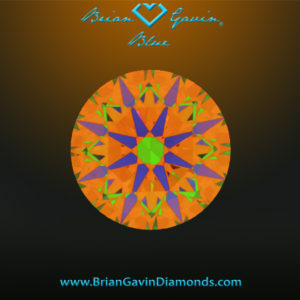 Look at the ASET image provided for the 2.086 carat, J-color, VS-2 clarity, Brian Gavin Signature round diamond pictured to the right, it indicates that the diamond exhibits the highest volume of light return, and that it will be extremely bright, and that light is being evenly distributed / reflected throughout the diamond, the fact that the diamond is J-color has nothing to do with any of this, neither does the clarity or carat weight by the way. All people really seem to focus upon is the size of the diamond, the volume of light return, and the sparkle factor, which they tend to describe as brilliance, or just being really sparkly! 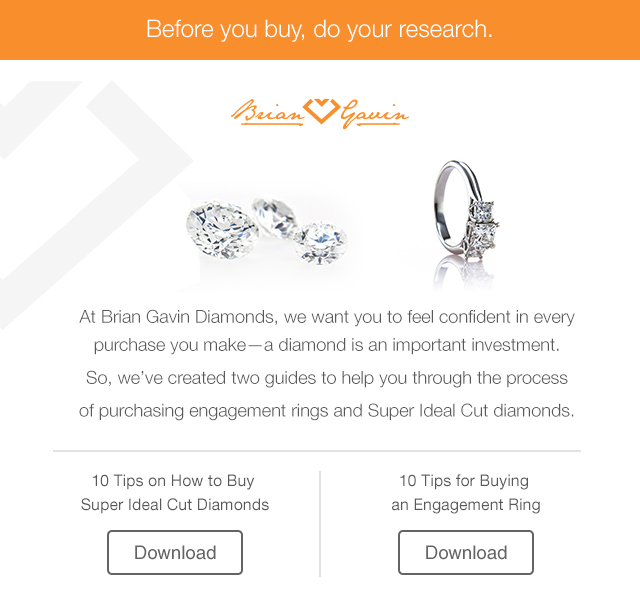 Thus at the end of the day, all the concern about diamond clarity, and diamond color, might actually be a waste of time, and your primary focus should be on the cut quality delivered by every Brian Gavin Signature diamond. 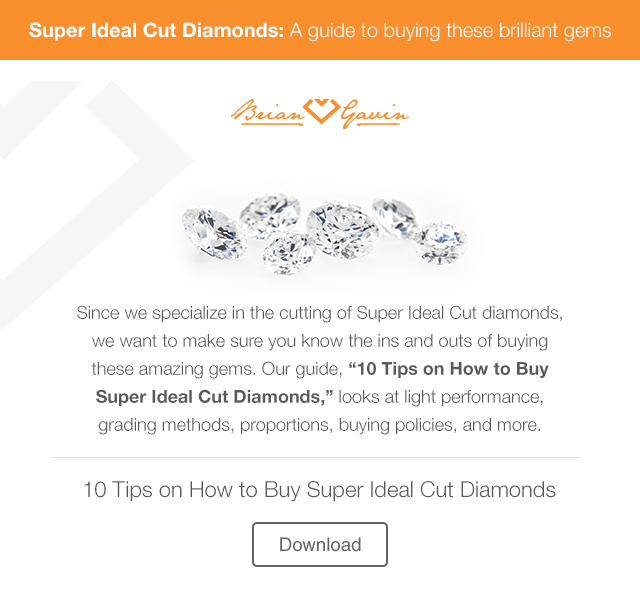 Are Higher Color Diamonds Brighter and More Brilliant? 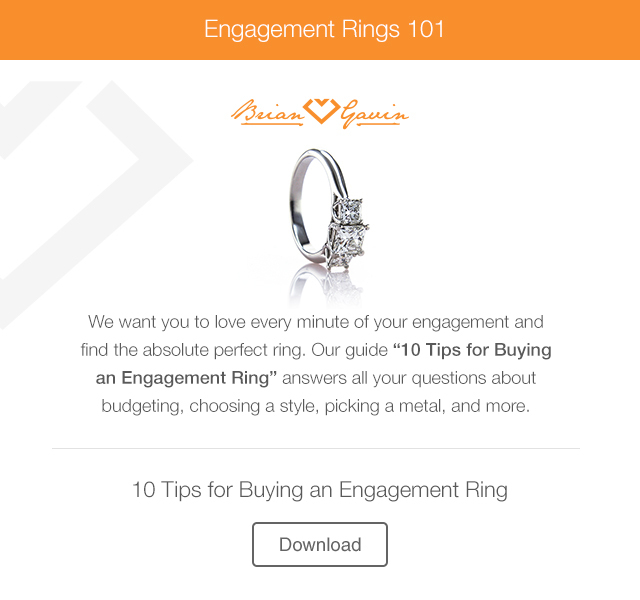 Is it good to get your wedding ring appraised? This entry was written by Danny, posted on June 25 at 9:22 pm, filed under Diamond Education. Bookmark the permalink. Follow any comments here with the RSS feed for this post. Trackbacks are closed, but you can post a comment.